Vice Chairman of HCM City People’s Committee Tran Vinh Tuyen has instructed departments, sectors and districts to relocate the house, build 15 new apartments with a total of 861 damaged apartments level D in the city. 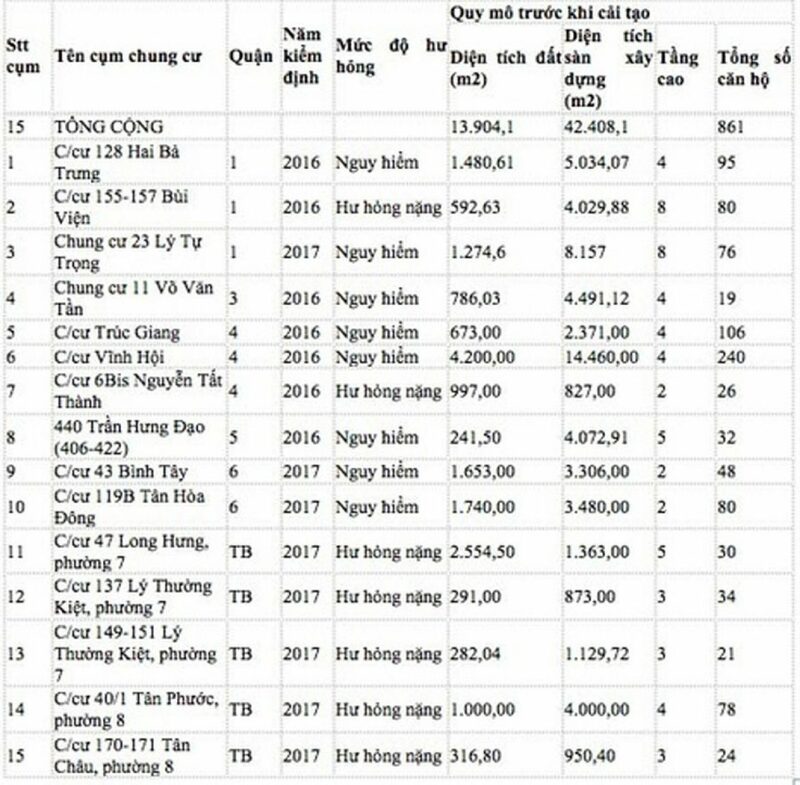 In the list of 15 newly relocated and newly built apartment complexes, there are 7 severely damaged condominiums and 8 dangerous condominiums, located in District 1, District 3, District 5, District 6 and Tan Binh District. Known HCMC will assign the People’s Committee of districts with damaged apartment class D must promptly have plans to relocate households, individuals and organizations in the apartment to ensure the safety of life and property of the people. . For cases of non-compliance should persevere contact, advocacy, persuasion to carry out. Leaders of the City People’s Committee asked the district to make plans for compensation and ground clearance in accordance with the provisions for the impact of life; There are many options for resettlement, so that the households choose. At the same time, the city has assigned the People’s Committees of the districts to coordinate with the Department of Natural Resources and Environment and the Department of Planning and Investment to propose the plan for land use after relocation in the direction of socialization. According to statistics of the Department of Construction, there are 474 apartment buildings built before 1975, mainly in Districts 1, 3, 4, 5 and 10. Most of the apartments have been demolished and damaged. heavy and dangerous. By 2020, the city strives to dismantle, build at least 50% of the 474 old apartment buildings. 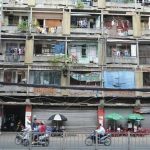 You are reading the article HCMC: Relocate urgently of 861 households because the apartment degraded seriously in the Real Estate category at https://realestatevietnam.com.vn/.Any information sharing, feedback please email to info@realestatevietnam.com.vn, Hotline 0909890897 (24/7).